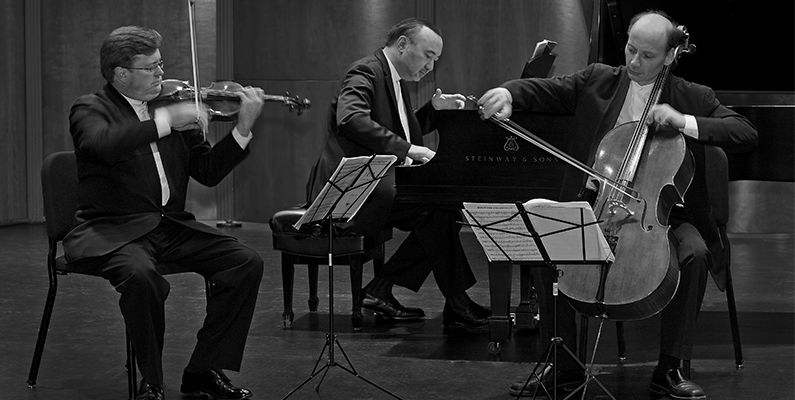 Virtuoso pianist Jon Kimura Parker and former Tokyo String Quartet members, violinist Martin Beaver and cellist Clive Greensmith open the 2017–2018 Winter Series, performing a program of Shostakovich, Beethoven, and Brahms that offers a rare opportunity to revel in the youthful yet refined craftsmanship of these composers’ first forays into piano trios. Beginning with Shostakovich’s Piano Trio no. 1 in c minor followed by Beethoven’s joyful Opus 1 Number 1 Trio, the program concludes with Brahms’s First Piano Trio in B Major in an enchanting survey of some of the very earliest works of these composers’ extensive oeuvres.